From iOS 8.2, there are already countless iOS device users out there who are excited to get the iOS 8.3 upgrade, thinking of the thrilling enhancements that they can get once they have already acquired the upgrade. Now, if you are curious about what iOS 8.3 has to offer you and you are searching for information that you can use to learn more about this newly-launched operating system by Apple, here are three basic things that you must expect from it. 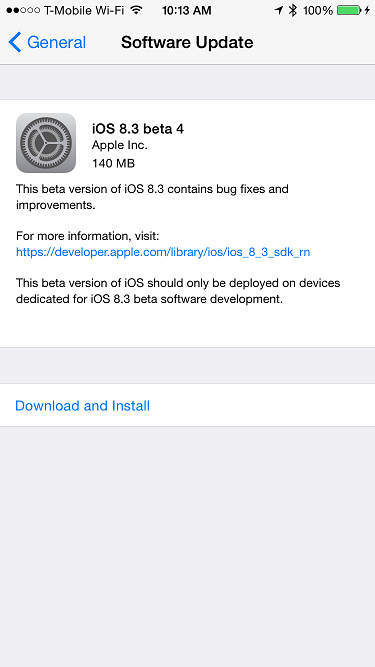 There are many bugs from the Beta 2 version of iOS 8 which have been fixed and eliminated. On the other hand, though not really considered as a bug, a big problem that iOS 8.3 users faced when they got the upgrade is the new keyboard offered by the operating system. It came with an elongated space bar, making long-time Apple device users hit their period button, instead of the Go button, because they are used to the shorter space bar that their device used to have. Fortunately, Apple has been alerted about the problem right away and they were able to fix the bug. One of the features that you should expect from iOS 8.3 is that it comes with a feature of “Report Junk” which gives users the chance to have unknown contact messages reported. It also comes with new Message conversation filters, as well as wireless CarPlay support. One of the most-awaited features of this application, too, is the two-form authentication which can be used over Google applications, such as Gmail. Also, iOS 8.3 is expected to offer changes when it comes to the Emojis. China will also get their own support for Apple Pay and Siri will now be supporting new languages, such as Thai, Dutch, Russian, Danish, Turkish and more. Just like what was mentioned earlier, iOS 8.3 comes with problems such as the elongated space bar issue on its keyboard, which, fortunately, has already been fixed right away. Another problem with the iOS 8.3 update is the issue on the GMT calendar. Though not a lot of users are experiencing this, it still appears to be a concern that Apple has to attend to. Now, are you still excited to get the iOS 8.3 upgrade? With all the things that you must expect from it which have been mentioned earlier, come up with a decision on whether you should get the update now or wait for better versions of this operating system to arrive.